Original 8 over 16 windows, hip roof, center chimney, period exterior door surrounds. Rear ell later addition. Other features: Interior Corinthian pilasters in portico with triangular pediment; fine paneling; fireplaces, hand carved cornices. Wide pine floor boards. Captain Benjamin Jenkins, son of Samuel Jenkins, built this house for his son Benjamin about 1807. Known as a "Post-House" or place where passengers were entertained while stage coaches changed horses. The rear, upper-room was used for dancing. Spikes used to hang lanterns still remain. House first to be insured in Andover - Policy #1 of the Merrimack Mutual Fire Insurance Co., April 9, 1828. Registry plate for this over East door but now covered by porch construction. Kitchen breakfast ell added 1849-1850. Present living room was original kitchen. Addison Flint of Soapstone Quarry Co. married Capt. Benjamin Jenkins' sister-in-law, Sally Berry, and lived in this ell. Benjamin Jenkins was born on Dec. 7, 1756 son of Samuel & Rebecca Jenkins. He was the youngest of six children. Benjamin married Margaret "Peggy" Flint b. 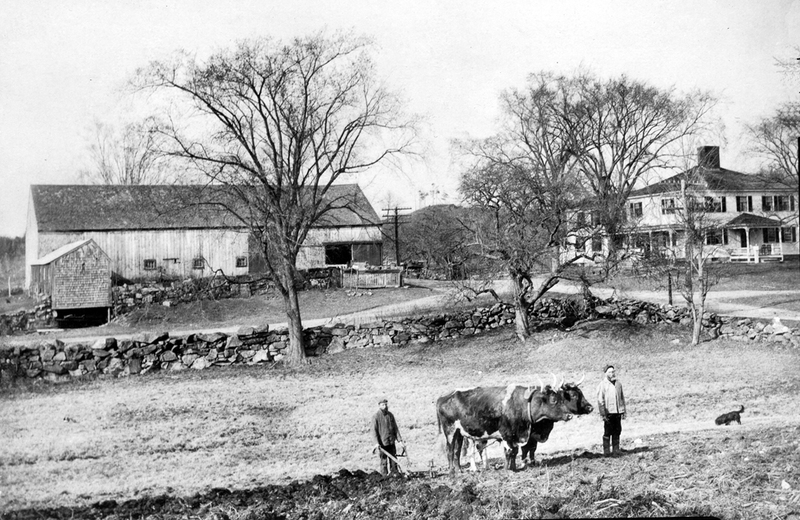 1760 in Reading, MA dau. of Benjamin & Peggy (Sawyer) Flint. Benj. & Peggy had three children; Benjamin Jr. b. 1786, Samuel b. 1790 and William b. 1795. It is said that Benjamin built the home for his son Benjamin Jr. Peggy (Flint) Jenkins died on Mar. 21, 1804. Benjamin Sr. died on Sept. 12, 1834. Benjamin Flint b. July 3, 1822, William Stuart b. July 5, 1824, Caroline Elizabeth b. Dec.22, 1826, John Brooks b. 1828 and Edward Kendall b. Oct. 14, 1832. Benjamin died on May 2, 1835. His wife Betsey remained in the home and raised her children. Betsey died on June 24, 1853 at age 60. The children were heirs to the property. John Brooks Jenkins got the property from his brother William S. Jenkins on Apr. 2, 1855. William S. Jenkins was a business partner with master builder George Abbott in Abbott & Jenkins, builders and contractors located on Essex & Pearson Streets. William built his home at 116 Main St.
John B. Jenkins added several parcels of land during his ownership obtaining lots from; Susan Berry in Oct. 1858, E. Kendall Jenkins Sept. 1864, Mary Ann Ball Mar. 1873, Woodman brothers & Ross in Feb. 1884, Rebecca Jenkins Oct. 1908, Elizabeth Butterfield on Nov. 1909, and Wm. Mcelkenny Sept. 1911. John Brooks Jenkins was born Oct. 7, 1829 and married on Sept. 1, 1853 to Ellen Holt b. 1834. John & Ellen had seven children; Brooks. b. 1853 d 1858, Alvin b. 1855, Charles Berry b. 1857, Frank Brooks b. 1860, Bessie Maria b. 1867, Benjamin b. 1869 - 1904, and Bertha Ella b. 1871. John B. died on Sept. 11, 1913 at age 83 and Ellen died on May 19, 1918. Their children were the heirs to the property then sold to Donald L. Priest on Oct. 28, 1921, thus ending four generations of Jenkins family ownership. Janet Gordon Conway & Elizabeth G. Weston of Somerville on Nov. 16, 1928. Conway and Weston occupied the house first as joint tenants then did a deed change to include right of survivor-ship in Sept. 28, 1953. The property contained 40 acres at the time of purchase including the house lot, adjoining orchard, barn lot, and pond lot located on both sides of Salem St and extending up to Boston Rd. They sold to Grace G. Markey and son William L. Markey on Sept. 2, 1955. William Markey is said to have restored the house during their ownership. 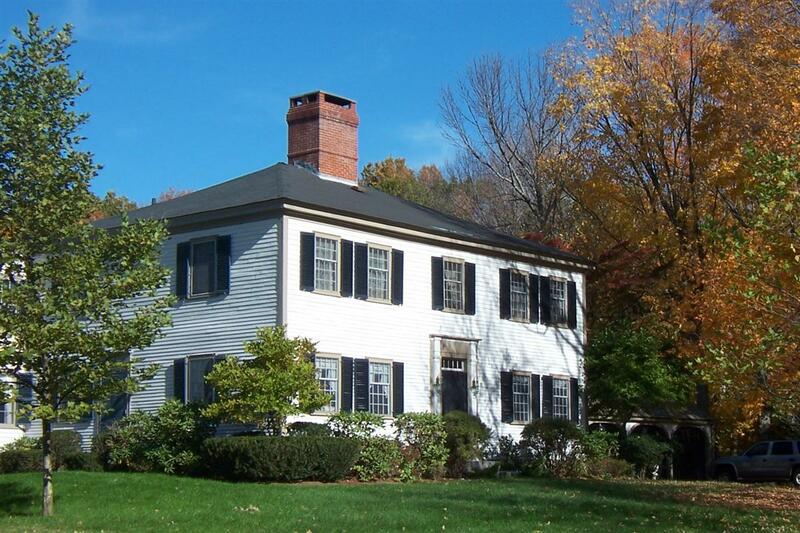 Lawrence "Larry" K. & Gail B. Wangerin purchased the home on Mar. 8, 1976 and continue as stewards of the home in 2015. Larry and Gail have two children, Rebecca and Benjamin.